Sapporo is Japan’s fifth-largest city with a population of 1.9 million. As the commercial and cultural capital of Hokkaido, there are many cultural events, shopping centers, restaurants and tourist sites to enjoy. The city is compact – most of its key attractions are located within easy reach of campus at the center of the city – but also spacious, with wide avenues that crisscross the city’s grid system layout. There are numerous parks where you can relax when taking a break from study; and it only takes an hour to get out of the city completely and be in the heart of Hokkaido’s great outdoors. Winter is cold but buildings are well heated, and in summer Hokkaido is the favorite destination of Japanese from other parts of the archipelago wanting to escape the stifling summer heat. All of this combined with a very reasonable cost of living for a city of its size has made Sapporo one of the most desirable places to live in Japan. In the last three surveys conducted from 2007, 2010, and 2012, Sapporo has consistently ranked in the top 3 cities in Japan to live. 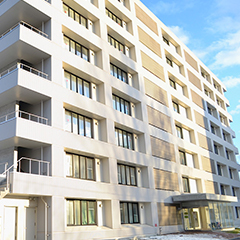 MJSP students generally spend their first year in Japan living in one of the following student dorms: Hokkaido University International House Kita 23, Bldg. 2 (female students) and Hokkaido University International House Kita 8 East (male students). 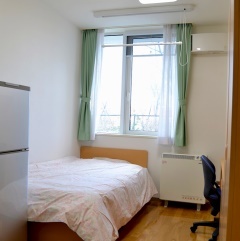 Thereafter, students will find their own accommodation in Sapporo (see the Hokkaido University website for more details).